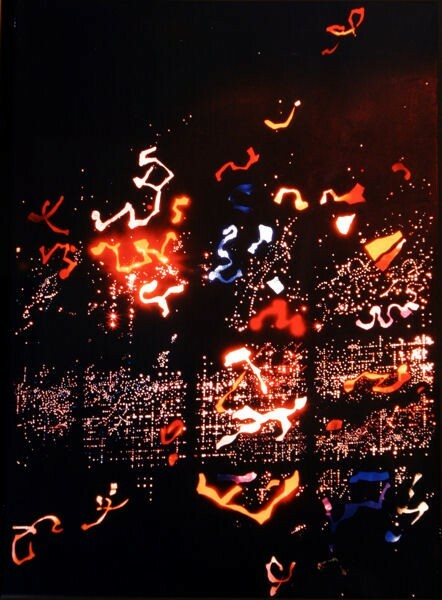 György Kepes, light display for KLM office, 1959, New York. The book Bauhaus Photography and Design: Moholy-Nagy, Breuer, Brandt, Yamawaki, and Kepes investigates the relationship between photography and design, as explored by artists associated with the Bauhaus between the 1920s and 1950s. The book undertakes a close inquiry of photography's inclusion in the design process, as exemplified by Marcel Breuer's Woman's Room at the 1923 Bauhaus exhibition, Moholy-Nagy's Light-Space Modulator, Marianne Brandt's self-portraits and metal objects, György Kepes's KLM light display as urban design, as well as Iwao Yamawaki's residential interiors, with respect to their visual presentation in publications and as a model of invention and at times a critical tool. Photography in the early twentieth century came to play a central role in meaning formation by reconstituting human subjectivity, perception, and concepts of embodiment, social interaction, and the lived environment. Taking experimental photography as a model of inspiration, Bauhaus artists devised alternative modes of engagement with it to work out these issues. The works tested, in often conflicting ways, to what extent elements of photography (and film) could permeate design, with the concept of social integration in mind. This strategy was put to different uses, such as perceptual "training," self-construction, engendering homeliness, collective involvement, camouflage, a means of dis/orientation, and the definition of an ethnic idiom, in negotiating or challenging the effects of the emerging image culture. The first chapter on Breuer's furniture was published in Grey Room (Winter 2013) with the financial support of the Graham Foundation. The chapter investigating Moholy-Nagy's Light Prop is published in Modernism/modernity (Winter 2015). An article on Kepes's KLM light display is being considered at Grey Room. The chapters discussing Yamawaki's architectural practice and Marianne Brandt's self-portrait photography in relation to her metal objects are in progress. Edit Tóth received her PhD from Pennsylvania State University in 2010, and her BA and MA degrees from Loránd Eötvös University in Budapest, Hungary. Her research focuses on the interaction of photography, film, design, and architecture. Currently she is teaching as a part-time professor at Pennsylvania State University, Altoona. Her writings appeared in various English, Hungarian, and German language publications. Recently, her article "Breuer's Furniture, Moholy-Nagy's Photographic Paradigm, and Complex Gender Expressivity at the Haus am Horn" was published in Grey Room (Winter 2013), and an article on Moholy-Nagy's Light Prop and stage designs is published in the Winter 2015 issue of Modernism/Modernity.